Eggs are the most essential resource of your hatchery. The cost of this resource can be lowered by reducing the landed cost of the eggs, by avoiding eggs from getting damaged, and by keeping eggs in ideal conditions before they enter the setter area. Having good trolleys and trays to handle the eggs is a major prerequisite for minimizing egg costs. Petersime’s trolleys are perfectly suited for on-farm traying and also for transportation from the farm to the hatchery. 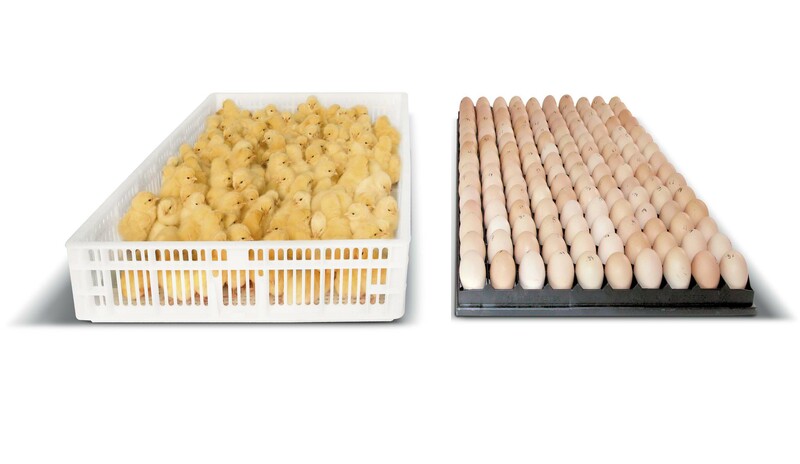 Since eggs do not have to be transferred onto setter trolleys in the hatchery, one handling cost is avoided and the risk of damage to the eggs as well as the labour cost is reduced. It also eliminates the cost of disposable carton egg trays. 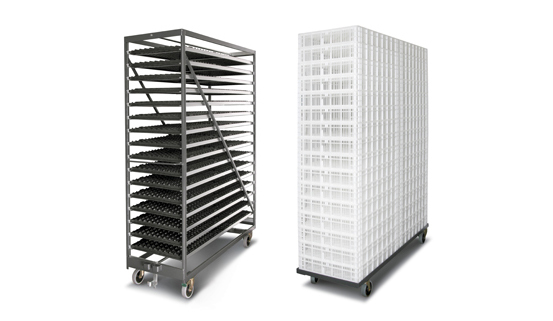 Petersime also offers high capacity farm trolleys capable of holding a maximum number of eggs per volume. This reduces the transportation cost between the farm and the hatchery, thereby reducing the cost of your eggs. Open the Turnkey hatcheries brochure in PDF-format.